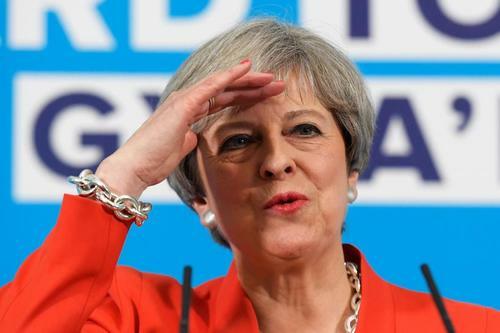 Reuters UKBritish Prime Minister Theresa May's Conservative Party has seen its lead over the opposition Labour Party narrow to 14 points from 20 points a week ago, polling firm ICM said on Monday ahead of a national election on June 8. Reuters UKBritain's anti-EU UK Independence Party (UKIP) will unveil its policy pledges on Thursday, restarting an election campaign which was suspended after a suicide bomber killed 22 people and injured dozens more in the northern city of Manchester. Reuters UKBritain's economy slowed more than previously thought in the first three months of 2017 as rising inflation boosted by last year's Brexit vote took a toll on household spending, official figures showed on Thursday. Reuters UKNet migration to Britain was 248,000 last year, official data showed on Thursday, down 84,000 from 2015 but still more than double the government's target level. ​ICYMI: What is the UK Independence Party promising in its manifesto today? Join us #facebooklive with Reuters' Costas Pitas at the launch as we discuss leader Paul Nuttall's election pledges. Reuters UKBritain's opposition Labour Party has cut the lead of Prime Minister Theresa May's Conservatives to five points less than a fortnight before a national election, according to the first poll published since a suicide bombing killed 22 people.